The ultimate guide to Verbier ski holidays in 2019 & 2020. Established in 1937, posh party town Verbier covers a sunny plateau slap bang in the middle of Switzerland’s 4 valleys – which just happens to be one of Europe’s biggest and best ski areas. 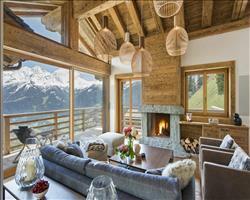 Blending in with dozens of classic chalets and ski hotels, this place has some of the most luxurious lodgings on the planet. Some hotels come with designer suites and super-slick service, while others have been refurbed into mega chalets with private spas and cinemas. What tends to get the most airtime here is the bars, with local legends like the Farinet consistently winning (and definitely deserving) the gong for the best après ski in the world (Retracting roof – tick. Showers of Tattinger – tick. Famous DJ’s – tickety tick). It’s spectacular - 35 lifts provide access to the local slopes, a fine mix of cruisey groomers, lovely tree-line runs and some of the scariest moguls around. Anyone looking to ski more can upgrade to the full area ski pass – which tots up a whopping 410km of slopes in the country’s biggest ski area. This includes access to the iconic 3330m Mont Fort glacier, for one of the best off-piste descents on the planet, plus cracking views over the Matterhorn and Mont Blanc massifs. 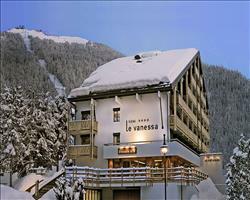 It also links Verbier to 5 smaller Swiss resorts: Bruson, Veysonnaz, Thyon, Nendaz and La Tzoumaz. View our detailed Verbier snow forecast or snow report and see all live webcams, piste maps, road and travel maps and lift pass prices. For a picture of historic snow conditions see the snow depths month by month with our Verbier snow history. Besides being famous for its off-piste routes, Verbier’s well groomed slopes are well known as some of the most challenging in the Alps. Although it mainly attracts intermediate, advanced and expert level skiers seeking adventurous off-piste and steeps experience, the 37 local pistes covering 100km provide for all abilities. The resort has three areas specifically for beginners, including the gentle slopes at Les Moulins, which has a children’s area and Les Esserts, with its 120m magic carpet. Those with a bit more confidence can enjoy family favourite Le Rouge (with one of Verbier’s many restaurants situated conveniently nearby) as well as the gorgeous scenery and gentle slopes of La Chaux. More confident skiers will be spoilt for choice, with a range of slopes including some brilliant red runs from La Chaux and down to La Tzoumaz. Expert skiers can enjoy the steep slopes at Col de Chassoure and the off piste runs and steeps around Mont Gelé, where a huge bonus is the fantastic view. Host of the Freeride World Tour, Verbier is a favourite for intermediate and advanced ‘boarders looking for extreme snowboarding both on and off piste. As well as steeps and rock drops of all sizes, the Swatch Snowpark at La Chaux is a must-visit for freestylers. It is accessible via La Chaux Express and has more than 20 structures including kickers, boxes, rails and a big airbag (the one thing Verbier lacks for snowboarders is a pipe, but there are rumours of something in the pipeline). The park also has a chill-out zone for post-boarding relaxation and you can watch your performance back on a large video screen. Less experienced boarders can enjoy Savoleyres, the only drawback being its drag lifts. Ultimately Verbier’s lift system provides well for snowboarders, with only 10 drag lifts overall. Many say Verbier’s après is the main reason to visit – it’s certainly some of the best in the world and if you want to increase the odds of bumping into Prince Harry or Leonardo di Caprio on the dance floor, there’s no better place to party. From a good old pint in a lively pub (we love Nelson’s and Pub Mont Fort) to swanky cocktails with the socialites at Cordee de Alps, the nightlife is wonderfully varied. An absolute legend is the Farinet - with a huge sliding roof, a commanding position over the main square and a lengthy shot list, it regularly crops up on the list of the world’s best après ski bars. You don’t have to travel far to experience another top venue – the same hotel houses what was once the Casbah club and is now the Etoile Rouge supper club, where the transition from supper to dancefloor is gloriously seamless. Jamie Oliver skis here and Heston Blumenthal helped out with the menu at La Vache, which gives you an idea of just how good the dining scene is. For gourmet food and stunning views of the Alps, Nevai does an extensive range of grilled meats, Asian and Mediterranean dishes. W Verbier is another place to book a table if you fancy a treat - Michelin star chef Sergi Arola creates some amazing dishes combining Spanish and Swiss influences. We love the pizzas at Fer a Chevel in the centre of town – it has a lovely sun terrace for outdoor lunches and a lively atmosphere at night too. The La Monde des Crepes on Rte de la Poste is great for kids and has every type of crêpe you could think of... and then some! If you fancy a pit stop on the mountain, Carlsberg often has an airbag outside for those feeling a bit more daring once the beers have set in... Le Dahu, at the bottom of La Chaux Snowpark has some top notch pizzas and pasta dishes (not to mention awesome mountain views). 1936 is another popular bar on the run down from Les Ruinettes to Verbier, a great stop on the way home with deckchairs outside where you can soak in the rays without having to worry about catching the last lift. Activities off the slopes are also varied and abundant. If some R&R is on the agenda, there are various wellness centres like Nevai Elemis Spa and Wholey Cow. For more experience of the incredible scenery, outdoor activities include hang-gliding, paragliding, tobogganing, horse-riding, husky-rides, snowshoeing and ice karting. In terms of things to do indoors, you can keep fit in one of the local swimming pools, squash courts or gyms, do some ice skating or curling or catch a movie at the cinema (but come on, do you really want to stay in and watch a film here?). When is the best time to ski Verbier? Besides 70 snow cannons, the mountain has ski slopes facing North, South, East and West, meaning that whatever the weather conditions or time of year you travel, you are likely to find slopes in great condition for skiing. The ski season runs from early December through to the end of April most years. Skiing in early December is usually quiet, with numbers increasing during the festive season. Verbier is coldest in January, and relatively quiet, getting a lot busier during February half term. Temperatures gradually warm through February and March, with April as the sunniest month. For a quieter skiing experience you might want to choose dates outside the Easter school holiday dates where the resort tends to be busier. There is good snowfall throughout the ski season, with average snowfall highest in March (upper piste snow depth around 300cm), so this is a great place to come if you love T-shirt skiing in the spring sunshine. 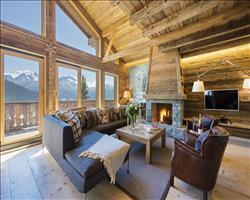 Browse all Verbier ski deals or read about holidays in December, January, February, March or April. Families are welcome in Verbier which has a ski area, accommodation and off-slope activities to suit all ages. The vast and varied ski area includes some lovely sunny, cruising runs that the whole family can enjoy together. For little learners, Les Moulins has a children’s skiing area and there are new magic carpet lifts at Les Esserts. There are a range of ski lesson choices, including group lessons for a range of ages and levels with English speaking instructors (and a high likelihood of English classmates in this popular Brit resort). You can also book a private family lesson if you want to enjoy quality family time as you all learn and improve together. If you’re bringing a child who is too young for ski school, various childcare options are available where your little ones will be looked after in safe hands while you tackle the slopes. In the resort, Kids Club Verbier has a snow garden with toys and games. Half and full day childcare is available here with a warm lunch included. 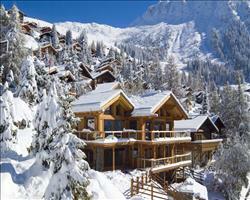 Les Schtroumpfs is a brilliant local crèche and Petit Verbier offers a private nanny and babysitting service. Ask us about our hotels with on-site childcare. If you’re in Verbier during school holidays, look out for special children’s activities and events including a visit from Santa at Christmas and an egg hunt at Easter. Various activities are available in the area for quality family time and memorable moments – go on a hike with an adorable St Bernard, enjoy an afternoon of sledding on the longest run in the area or head to the sports centre for ice skating and ice karting. We have a brilliant range of holiday options for families including everything from cheap deals to luxury family getaways. Our catered chalets and half or full board hotels ensure minimal hard work and maximum family time. 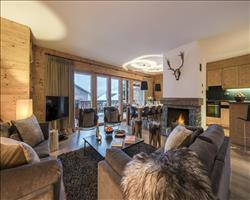 Pick a traditional chalet for cosy evenings and games by the fireplace with your loved ones or ask about hotels with family rooms and adjoining rooms so everyone is close together. If you’re a large family or a group of two families, book Chalet Chaperon Rouge with sole occupancy so you can enjoy the accommodation to yourself or if you’re a smaller family, our large chalets and chalet hotels like Chalet Les Quatre Saisons and Chalet Hotel de Verbier provide the perfect setting to meet new people while your children make friends. With a varied ski area, abundant off-slope activities and a reputation for legendary après ski, Verbier is a terrific resort for group ski holidays. Our group holidays come with flights and transfers from airport to accommodation or channel crossings for self drive holidays. Catered chalets, half board hotels and all inclusive packages are a brilliant option if you don’t want to have to worry about catering for everyone’s individual needs – your chalet host or hotel staff will do the hard work for you. Accommodation-only options can save hassle if you’re organising a group holiday – grab a good deal before it disappears and let everyone sort out their own travel arrangements. View these by selecting ‘independent travel’ in the departures / flights section. 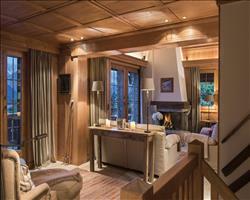 Our chalet hotels in Verbier are ideal for groups as they offer the size of a hotel with alpine chalet charm. If you book your group into somewhere like Chalet Hotel de Verbier or Chalet Hotel Montpelier, everyone can enjoy their own rooms and gather for sociable evenings in large dining and lounge areas for dinner and drinks. Because they have a good amount of rooms, these chalet hotels also provide the option for late-comers to join the group holiday later on in the process if there are any rooms still available. If you’ve got a group of 10 or think you can arrange one, book Chalet Chaperon Rouge or Chalet Hameau with sole occupancy and enjoy these cosy alpine chalets and their brilliant positions and amenities to yourselves. Groups looking to ski hard and party harder have definitely come to the right place – Verbier’s après scene is legendary and offers a variety of options until the early hours. 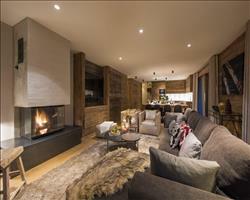 If you want to get the best of the action, stay somewhere in the centre of the town like Chalet Hotel de Verbier or Hotel de la Poste which are known for offering brilliant access to the nightlife - Pub Mont-Fort, Fer à Cheval and Farinet are must-visits for the Verbier après ski experience. "Verbier ski holiday in a nutshell"
As a small village in the heart of the Valais Canton, south-west Switzerland, Verbier might appear to be a quaint, traditional Swiss village, but don't be deceived – when it comes to skiing Verbier is a cut above the rest. Skiers of all abilities are attracted to Verbier – but it also boasts royal approval with members of the British and Swedish monarchies enjoying the slopes each year. Expect high quality skiing and a buzzing atmosphere here – and one of the finest Après ski scenes in Europe. 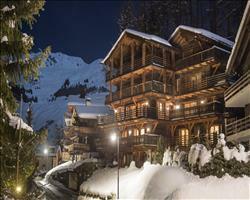 Altogether Verbier is a skiing experience truly fit for a King! As part of the four valleys ski area, Verbier gives you access to over 410 km of pistes in the Swiss Alps. The 37 pistes here cater for all levels. Over half of the slopes are geared towards intermediate and advanced skiers but the areas of Les Moulins and Les Esserts are dedicated for beginners. For the more adventurous, Verbier is also renowned for being one of the finest 'off-piste' resorts in the world. These steep slopes are not for the faint of heart but do offer a truly unique skiing experience. Whether you are looking for steep, gentle or even unmarked slopes Verbier is the place to be – especially as some pistes have snow all year round. Had not been to Verbier before – it’s phenomenal. Nothing not to like! The resort is a nice cosy size, not big and sprawling. The snow was amazing, every night of the week there was about half a foot of it! Off piste is brilliant, tree runs are amazing, when you're up there in deep powder with no one else around it’s as good as it gets. Really good place for snowboarding, wherever I explored there were always easy places to get off piste and link back onto the runs. There are some awesome tree runs all the way back down to town where you can dart off into the trees. Absolutely awesome scenery, one of the best trips I’ve had. "One of the best ski resorts in Europe"
We had good snow – luckily it finished snowing just before we arrived after snowing for a whole week, so we had enough snow for the whole holiday. It had started to melt when we left as the temperature was 15-20°C but we had the perfect conditions in between. Verbier has all kinds of tracks for different abilities; it’s just a matter of reading the signs correctly. There are some difficult tracks that can be very dangerous if you go on your own – Tortin has lots of bumps so it’s best to do with a guide or someone experienced. The nightlife here is some of the best in Europe and the après ski is really good. There are some very nice restaurants where you can order typical Swiss dishes like cheese fondue and raclette. Verbier isn’t a beginner resort but if you’re intermediate or advanced you will love it. You get a lot of different skiing, loads of pisted runs but also incredible off piste. The Tortin run is very mogully but you can get a bubble down if you don’t want to ski it. It used to get a bit bottleneck at the Medran but they’ve got new lifts so it’s not that bad anymore. If you’ve got a reasonable amount of experience, you can set off for one day and ski right across the 4 valleys. You wouldn’t be able to ski all the way over and back in one day, but you can get the buses back - set off early and there are lots of nice places to visit for lunches and drinks. Even though it was the last week of March we had masses of snow, it snowed solidly for the first two days and then we had beautiful sunshine. There are lots of really good après ski places too. "Really top resort – thanks again to Sno"
Verbier - really top resort, great skiing/boarding, great bars, cafe's, night life etc Thanks again to Sno !! "If you don’t do the off piste, you’re missing out!" The ski area is fantastic and the off piste is amazing! It’s a bit expensive, but that’s just the Swiss economy – this is the only negative I can think of. I was snowboarding on an off piste guided course and had a brilliant time – if you haven’t been here before, get a guide and go off piste. There are some really good itinerary runs. I didn’t do much on the piste but there was definitely a lot of stuff for intermediates. There were amazing conditions in January, there wasn't much when we got there but it tipped down all week. "A technical resort with fantastic off-piste"
The skiing was great, we were lucky with the powder. It’s quite a technical resort. There’s some really good off-piste, especially the ‘itinerary runs’ which aren’t pisted but are with the ski boundaries, they are fantastic and highly recommended. A day with a ski guide is also worth doing. We thought it wasn’t as testing over in Italy. The tortin run was great and not as hard as people make out. The après is nuts! The Farinet is the main place, but that doesn’t kick off until 6pm so until then there are two decent bars directly off the slopes. 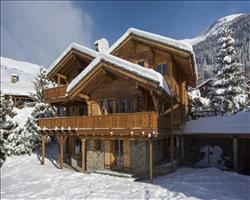 Verbier is expensive but it’s no drama if you’ve done your research and you’re aware of the prices. It was a great pity about the snow, but we can ski anything and we did! We had a lovely Christmas overall. Verbier is utter paradise for skiers as it’s such a big area. I hadn’t been since I did my ski season in 82, so this was a nostalgic trip for me – the resort has changed beyond recognition! I did a season in Verbier in 2013/4. Savoleyres is a really good place to get your ski legs back as it tends to be much quieter over that side, it is also really good over there on the powder days. The Attelas chairlift or 'James Blunt' (who opened it) leads up to loads of nice runs also whilst up here, La Vache restaurant is really nice. Pub Mont Fort is always really popular and great for a beer after skiing and in the evening. It is defiantly worth a visit to Fairnet. W hotel has an amazing spa and is an excellent way to unwind after a hard couple of days. Verbier ski resort was established in 1937 and consists of traditional, Swiss chalet buildings set against a beautiful alpine backdrop. With 35 lift systems in the resort it is easy to gain access to the mountains and the 410 km of slopes. 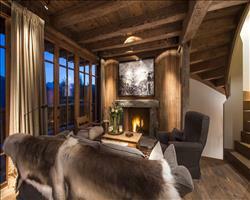 This resort is too beautiful to miss, and guarantees a first class skiing service. The resort has numerous cafes, restaurants, shops, bars and nightclubs to help unwind after the slopes. 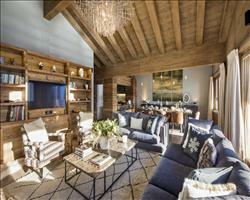 Verbier doesn’t just cater to royalty, families are also welcomed. There are children’s slopes available in a great central location and some additional children care services are also available. "Loads of intermediate & advanced, not a budget resort"
We picked Verbier because it has a good reputation as a ski resort. There’s loads of skiing, especially for intermediates and advanced - where it’s black, it’s very black and there’s so much off piste. The village is just like most ski resorts, with lots of bars, over-priced gift shops, lots of ski stores and not much else. It’s certainly not a budget ski resort. "A picturesque resort for the more advanced skier"
Verbier is definitely a resort for the more advanced skier, but we were aware of that before we went. We’re not ambitious skiers, we just came here for a family ski holiday and to relax in the mountains. We thought the skiing would suit our son and so we knew it would be challenging. Some of the blue slopes are inaccessible unless you are prepared to ski down red or black runs to get to them, or to exit from them. It’s simply the way the resort is laid out. I think advanced skiers would give it a 5/5. It’s a very walkable town, very picturesque. We had a nice time here. Our chalet hotel was catered but we ate out one evening at a local Swiss restaurant, it was very good. It’s certainly a premium resort, you really need an open wallet when you come here, but then that’s Switzerland. The free bus service around town is brilliant, it’s easy to understand, it runs all over and it’s very frequent. That’s definitely one of the best things about Verbier. We didn’t do much else other than skiing, although our eldest son did ski paragliding which he thought was brilliant. "Good lessons with European Snowsport, perfect for experts"
Verbier isn’t a beginners place, I went to Les Deux Alpes before which is great for beginners, but in this place every blue has a little bit of red in it...They do a thing with Warren Smith Ski School and there was a lot of hype as he was on TV doing The Jump at the time. We actually had lessons with European Snowsport who were fantastic, I'd definitely recommend them. If you’re an experienced skier, Verbier is one of the best places for off-piste. The ski area goes all the way up to 3000m and experienced skiers should do the famous black from there, which is a bit of a mogul field. We were here really early in the season and because of this the après ski was quite quiet. They’d had loads of snow in November but none for 2 weeks in December but luckily they had the snow cannons on, so we were fine. "Not famously family friendly - but a great resort"
I know Verbier quite well, it’s not necessarily the best family resort but we knew that. The main reason we went was because we were meeting friends, and we probably wouldn’t go back with our 6 year old. However it’s a brilliant resort, very sociable. It’s very, very expensive! Lunch on the mountain was £120 for 4 people (including wine). It was a good resort for the kids although our kids are quite experienced, they’ve been skiing since they were 3. There was plenty of skiing, you get up on the main gondola and you’re away. I don’t think we would go back, we’ve skied it out now, we like to try different resorts each time. It snowed while we were there so we were lucky because it was quite late in the season. It was getting slushy in the afternoon as you would expect. "Not a great place for improver snowboarders..."
I’m a snowboarder and for me it sucked! I couldn’t find any group lessons at all and I searched high and low. If there aren’t enough people they simply don’t bother having group snowboarder lessons. I could have hired a private guide but it was so expensive. I really wanted to try the off-piste because Verbier is famous for it, and to improve my skills (I'm still improving), but I really needed an instructor for that. It’s great for skiers! My friends who are skiers had a brilliant time and they were in lessons all morning. There are some really long flat sections as well which is not good for snowboarding. It’s a lovely town, a very, very nice place. It’s nice and compact. There is nice après ski. I found the local spa a bit weird, it’s like 19th century but not in a good way. The Jacuzzi is kept locked up and you need to bring your own towel. Verbier is an expensive place but it has some of the best pistes in the world. The only thing about the 4 Valleys is that it’s a bit disconnected and it takes a while to get all the way over to the other side. We were lucky even though it was the end of March, it was snowing when we got there and continued to snow for three and a half days, so the conditions were fantastic. "Frist class apres ski and off slope activities"
The Après ski scene in Verbier is second to none. The village provides high qualities attractions and facilities that rival the on-the-snow activities. You don't even need to leave the slopes to catch a drink in this resort – the 1936 bar can quench your thirst in the unique yurt huts some 1740m above Verbier. If this doesn't take your fancy there are plenty of sophisticated lounge bars to sip a cool cosmopolitan cocktail and indulge in some celebrity spotting. 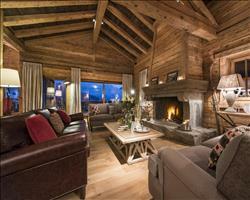 The Farm Club is the place to 'see and been seen' in Verbier for anyone at the forefront of the Après scene. Whilst Verbier offers great nightlife it also caters for those who don't want to party until the early hours of the morning. The village has a cinema, an ice rink and numerous swimming pools and spas to unwind in. Hiking, hand gliding and tobogganing are also popular off the slope outdoors activities in Verbier. As far as dining in concerned, Verbier offers tasty options to suit all budgets. Swiss cuisine and affordable pizzerias sit alongside Michelin star gourmet restaurants. 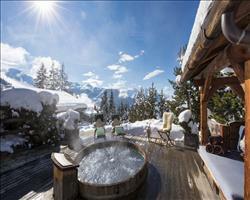 Verbier is the epicentre of Swiss and Après ski, guaranteeing a fantastic holiday both on and off the snow!